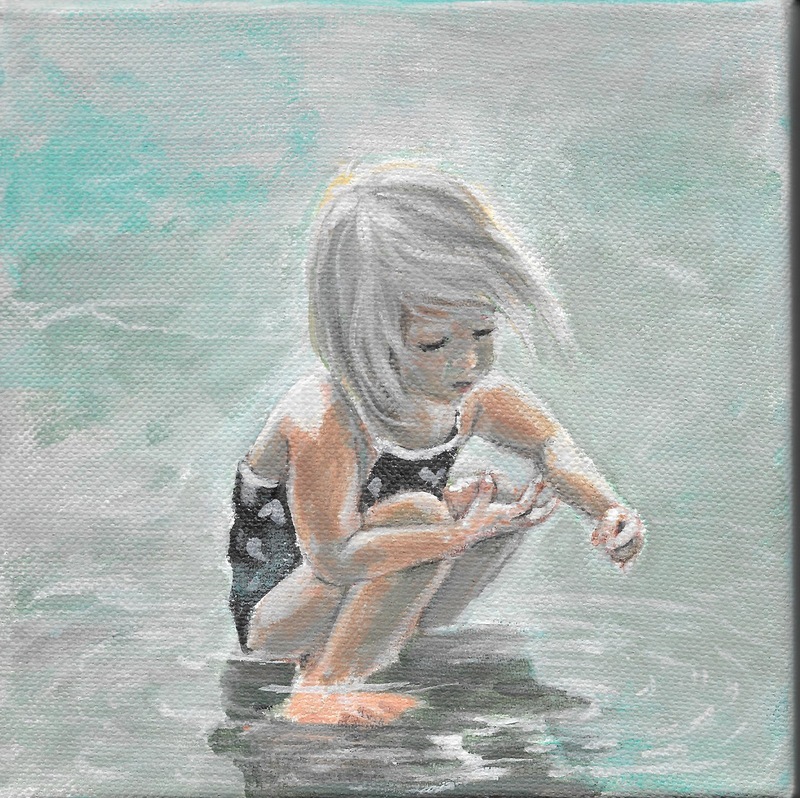 A little painting of my little granddaughter. The canvas is a six inch square and I thought it would be a wonderful size to dabble on. The reality is that for something with detail, a larger size would have been much easier. Of course now that I've started, I will paint two more tiny portraits of her older brother and sister. Be careful what you start. When I bought this package of four stretched canvas's a few years ago, I was thinking of painting vegetables or fruit. Something graphic and chunky. That will wait for some other time. The children of summer are waiting. This is wonderful!!!! ....and on such a small canvas? WOW!